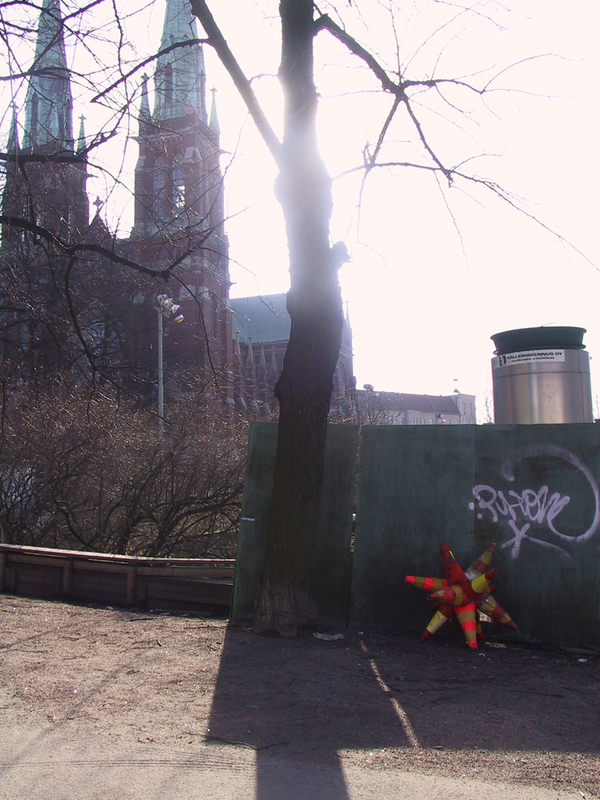 ”Christmas Star – Street life” is a work I did at 2007 as a part of an urban enviromental art happening ”Hybridea”. 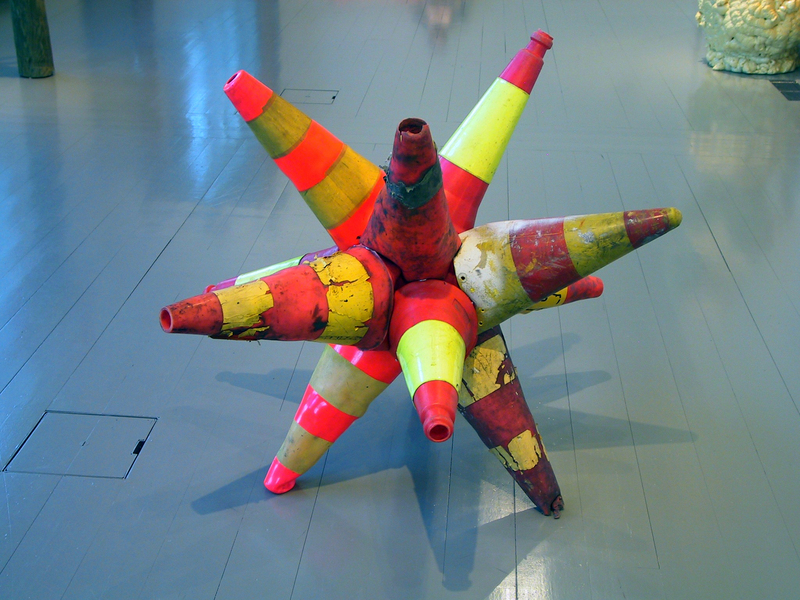 ”Christmas Star” is a sculpture made of traffic control cones. 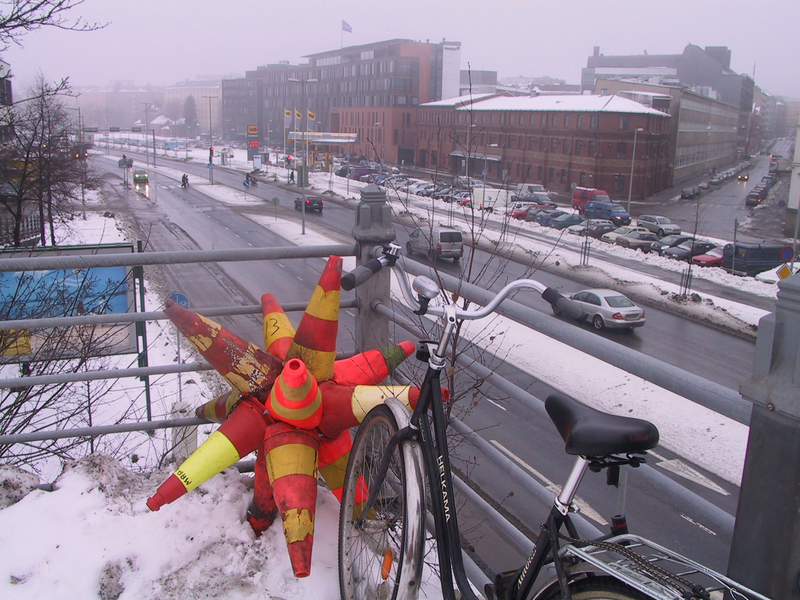 I like the strong colors of traffic control materials. 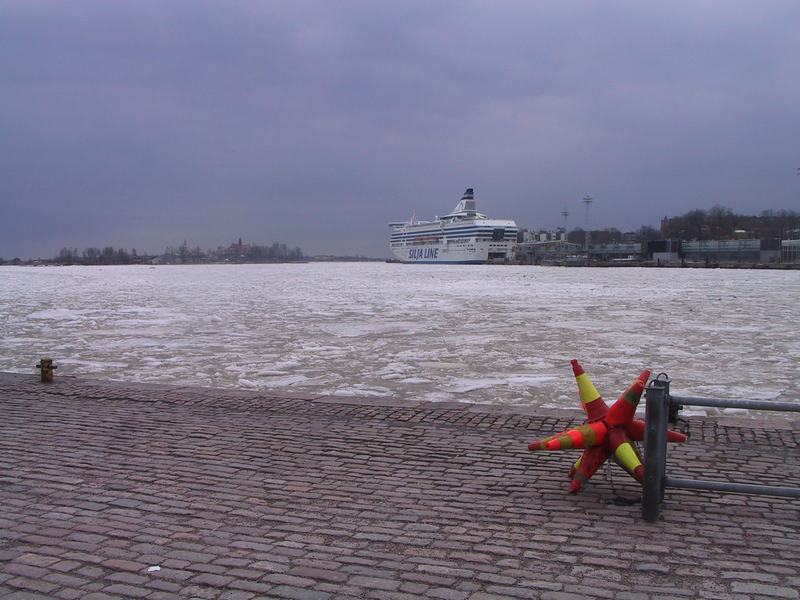 I have exhibited ”Christmas Star” also in more traditional space in Turku art museum. 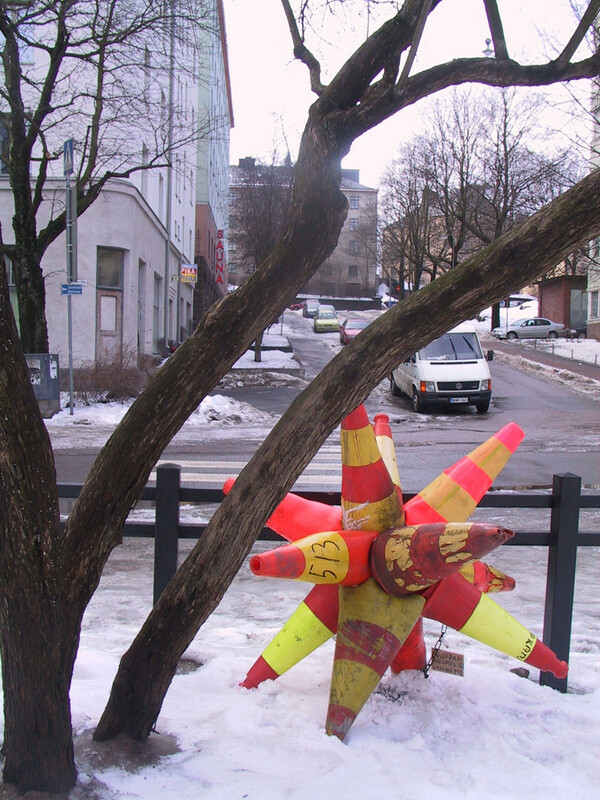 In”Christmas Star – Street life” I moved the Christmas Star sculpture around Helsinki for a five weeks in spring 2007. 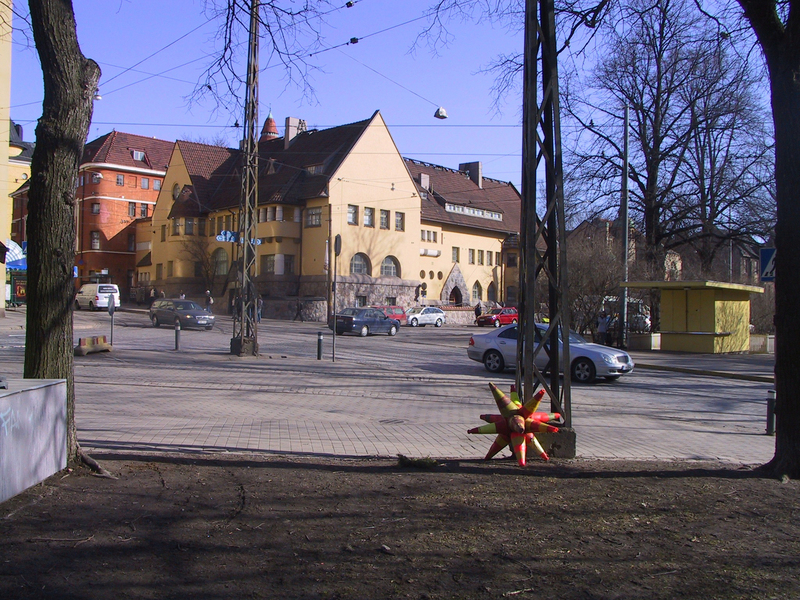 I started at my studio in Vallila and slowly travelled through the city. 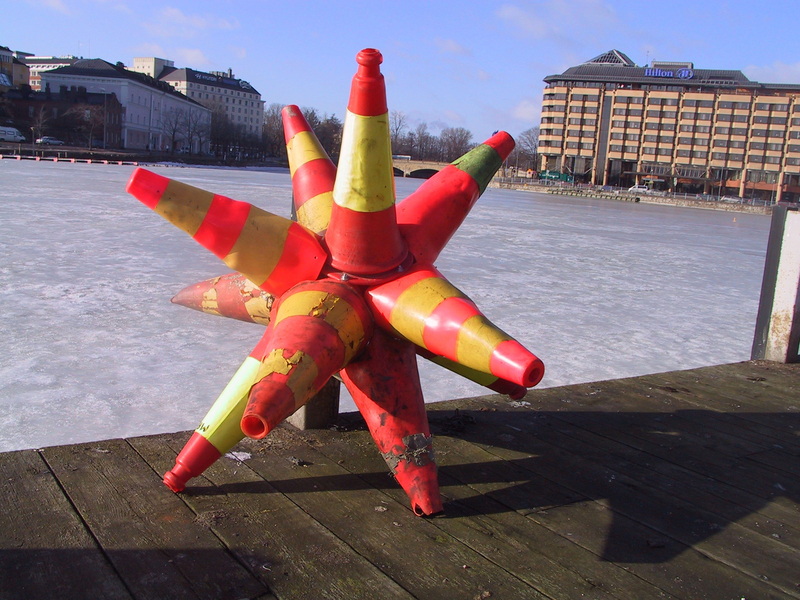 I carried the Christmas Star comfortably for a few blocks each day and locked it up somewhere in the street for the night. 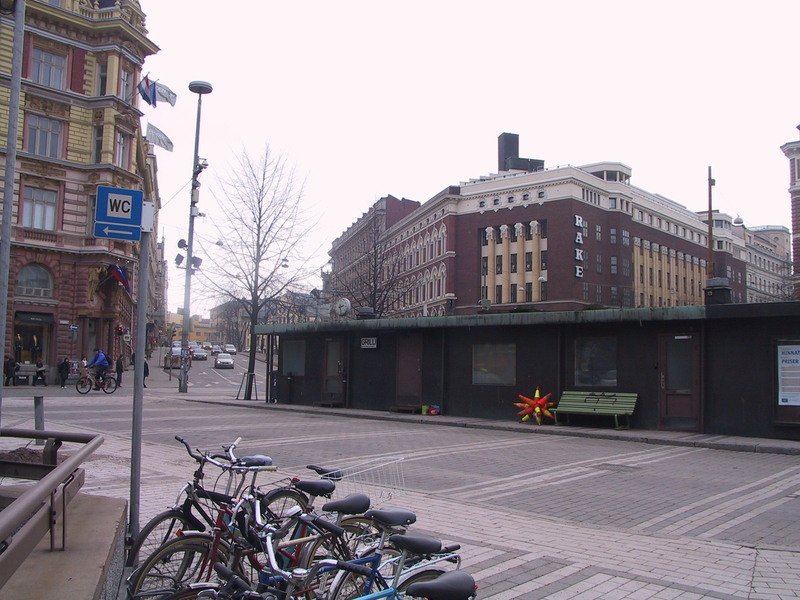 I chose some place where one could for example leave a bicycle. 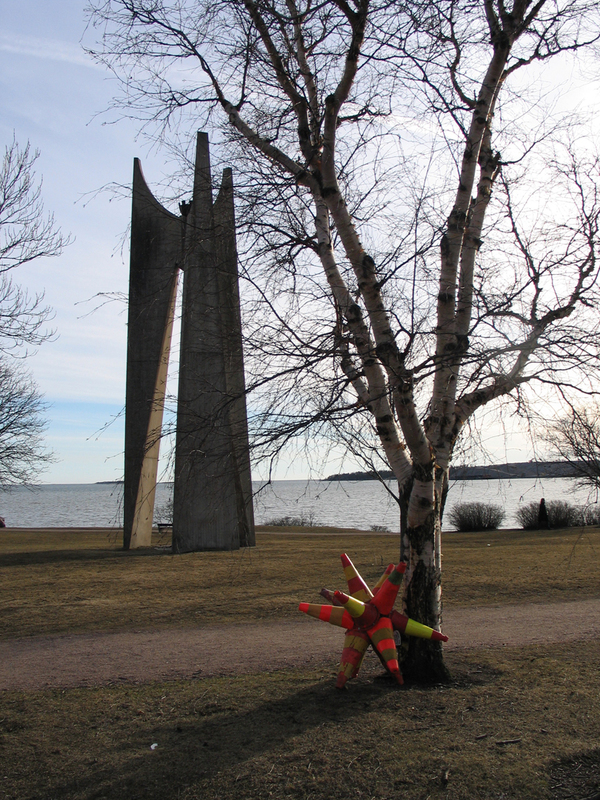 I did not ask any permission for my work from any official authoroty – in the sculpture there was a little flag with my phone number, in case of some trouble. 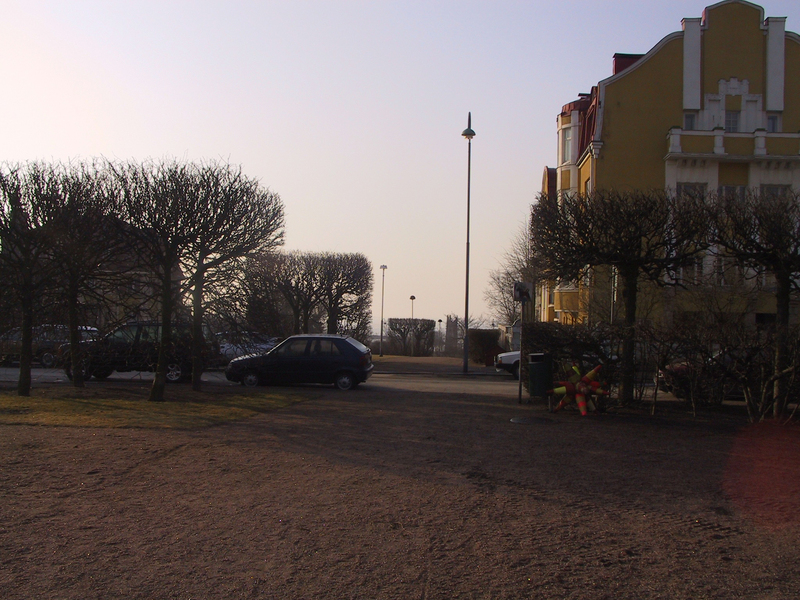 I travelled from the industrial areas, through the city center to the wealthier surroundings by the sea. 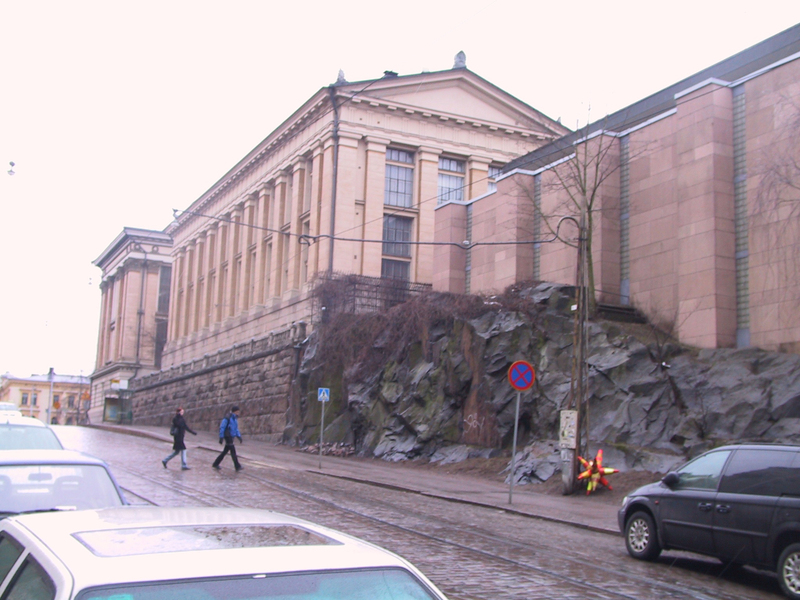 During the time of the work the city of Helsinki had a quite a hostile policy concerning graffities. 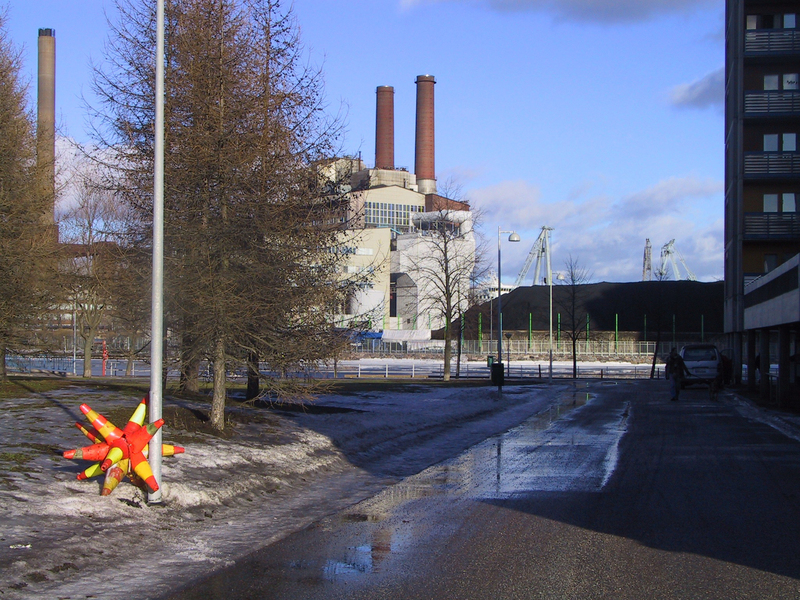 In a way I wanted participate that conversation. 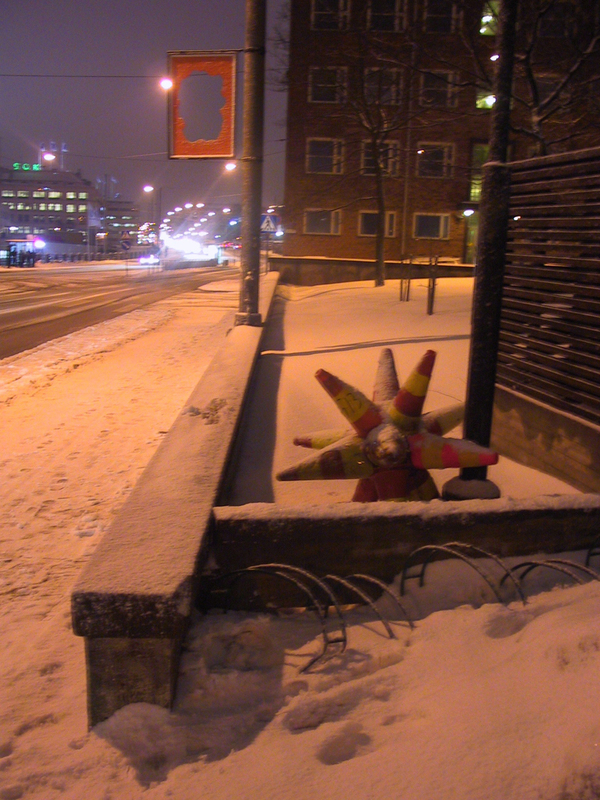 I wanted independently bring an artwork into the city space. 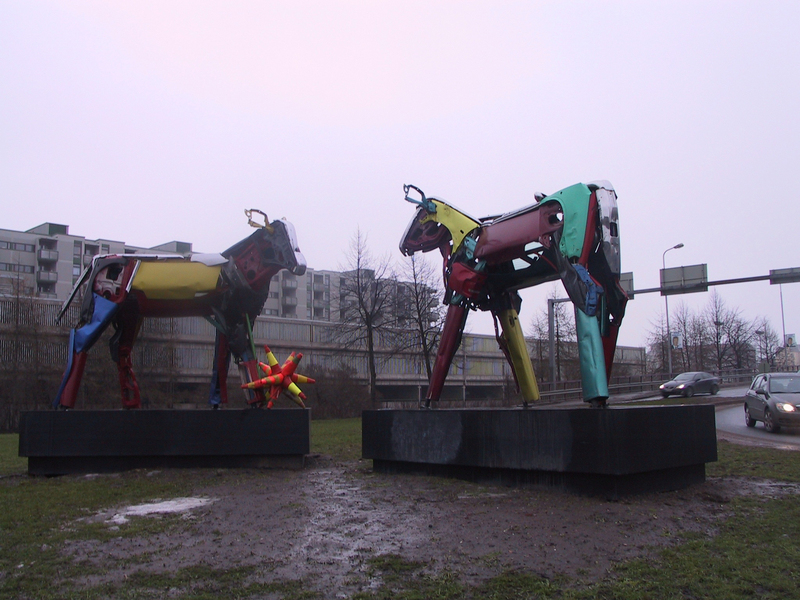 Something that would fit in quite naturally, but would also cheer up fellow citizens with its strangeness.